Marvel continues its onslaught of games in the Play Store, and this time they've decided to take the well-trodden road marked "endless runner." Marvel Run Jump Smash is pretty typical of the genre, and at first it looks like a carbon copy of Jetpack Joyride. But there's a surprising amount of depth beneath that cutesy exterior, and the 2D art might be enough for the one dollar entry fee alone. You start off as a basic SHIELD agent, either Nick Fury or Maria Hill, running and jumping through a fairly typical sprite environment. Of course you'll have to avoid bad guys and obstacles while picking up coins, but you can also shoot enemies (yes!) or jump on them Mario-style. 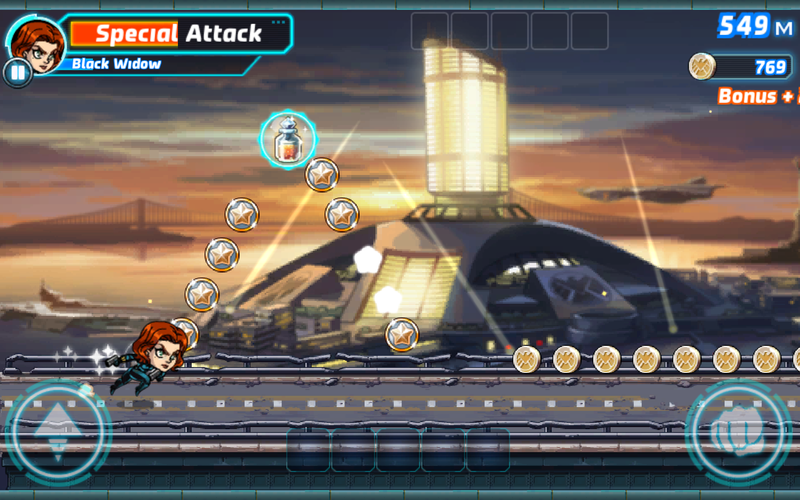 The titular Avengers serve the same function as vehicles in most endless runners: a combination shield and power-up. 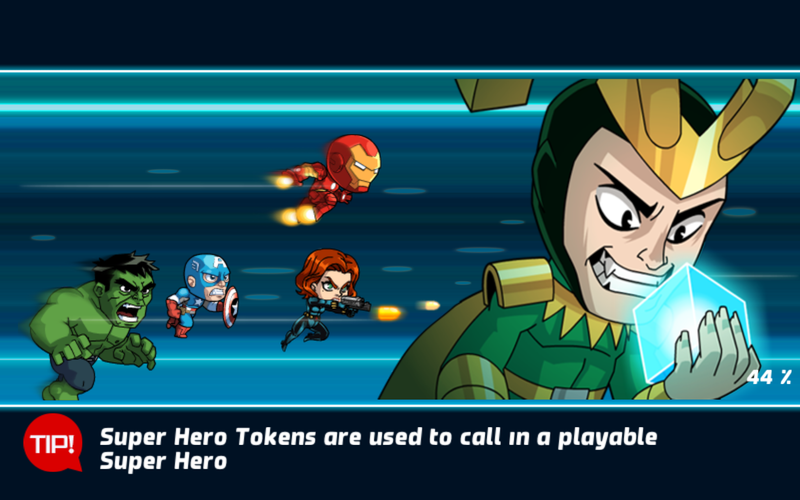 Hulk, Iron Man, Captain America, and Black Widow are available from the get go, and you unlock more heroes as you go. 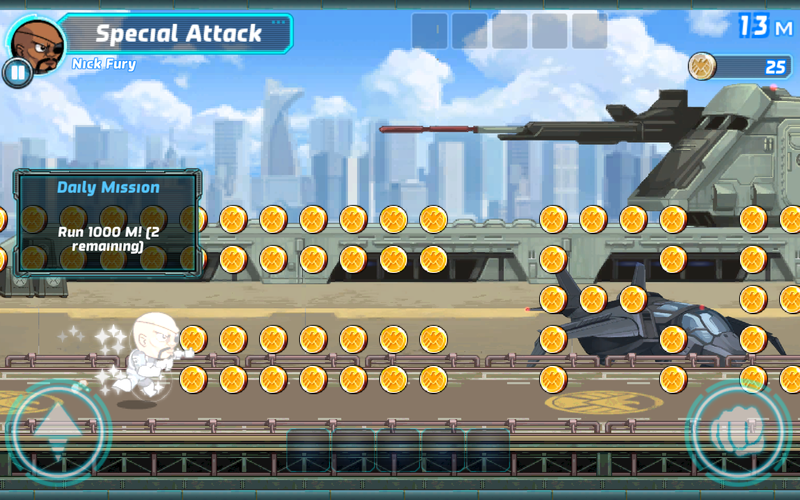 Each one has a unique basic attack and special attack, and various power-ups and shields are scattered throughout the levels. 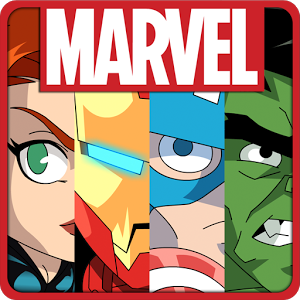 Marvel Run Jump Smash isn't all that flashy, but it's much more accessible than some of Marvel's other Android games like Avengers Initiative and Avengers Alliance. Plus, it's got a tiny bobblehead Loki riding a glider. What more do you want? The game is one dollar with the usual currency-based in-app purchases, and it's available on Android devices running 2.3 Gingerbread or higher.